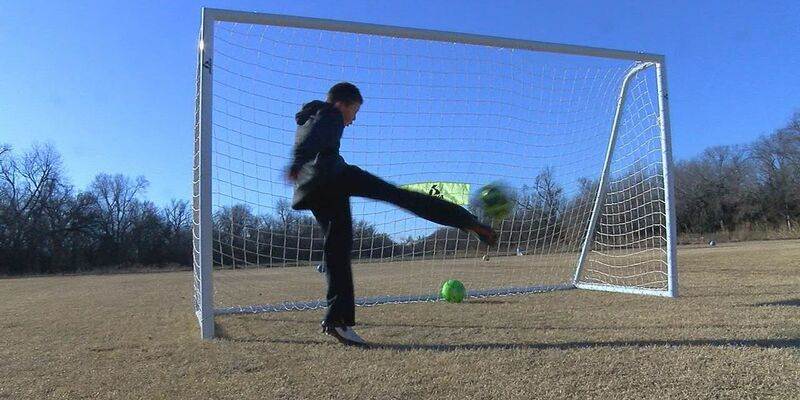 CACHE, OK (KSWO) -A Cache youht soccer player is one step closer to making his dream of becoming a professional soccer player a reality. 10 year old, Troy Myers is leaving next week to play soccer with Futbol Club Barcelona. He was selected after attending a FC Barcelona sponsored camp. Only 10% of the hundreds that tried out made the cut. There he will by trained by FC Barcelona staff and players as well as getting to scrimmage against some of the best players from around the world. Myers will spend 10 days in Spain staying and training at the FC Barcelona facilities. He said he couldn't be more excited for this trip of a lifetime. It's a shot most kids only dream of... the chance to play in front of professional soccer coaches at just 10 years old. Troy Myers couldn't believe he was one of the few selected across the country. "I was really excited," said Myers. The offensive midfielder says playing the sport along side his teammates on ECL United is why he loves it. "I love mostly just hanging out with my friends playing soccer," said Myers. Myers is home-schooled, so when he's not doing his school work, he's in his backyard training and getting as much practice as he can. "Super hard," said Myers. "I have to train every single day for at least 3 hours a day. Last week, we even went to Cameron and just ran hills the entire time." He said this opportunity to play over seas has only made him want to work harder to make sure he reaches his goals. "I want to play on Bayern Munich," said Myers. Myers and his family are leaving for Barcelona on February 6th. After the 10 days of soccer training are over, he and his family are staying a few days to travel around Rome.